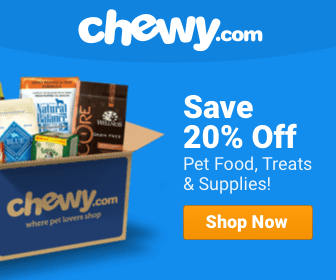 Dog Suspect Apprehended On Suspicion of Murder … Of Christmas Elf Toy! Photos of the crime scene were grisly, but the mugshot was the cutest thing ever! Josie a.k.a. “The Mutt” Ferrari is in police custody. But actually, she’s always in police custody! Josie belongs to the family of Shane Ferrari, who is presently running for Sheriff of San Juan County in New Mexico. 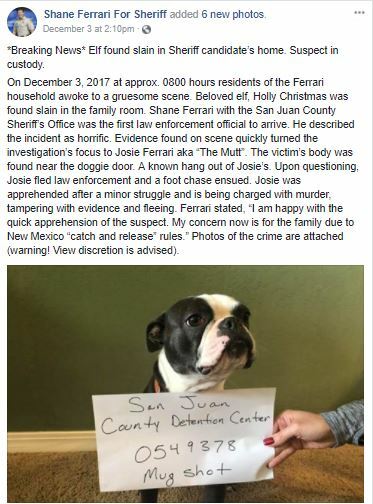 Ferrari recently shared a fun Facebook post that clearly proves he’s got the investigative chops to run the department wherein he came upon a crime scene in his own home. 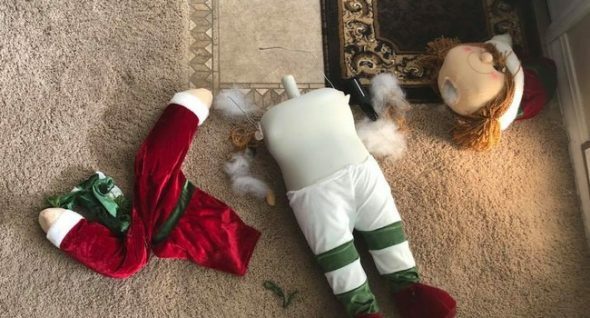 Evidence suggested the brutal dismemberment of one of the Christmas dolls came at the hands — er, jaws and claws — of his very own Boston terrier. 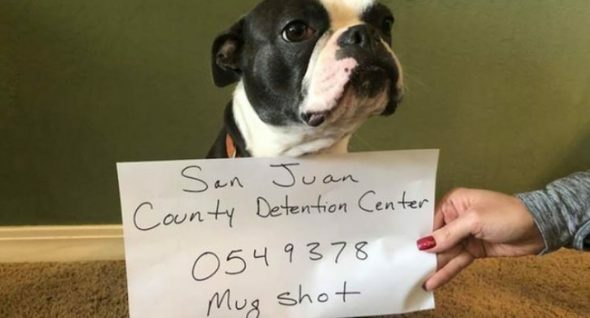 Photos of the crime scene were indeed grisly, but the mugshot was the cutest thing ever! Mastiff Says “No More” To Dad’s Butchering Of The Christmas Classics!